What do we Want from From Software's Next RPG? Even though Bloodborne is barely behind us, let's look to the future and imagine the ideal fifth Souls-style experience. 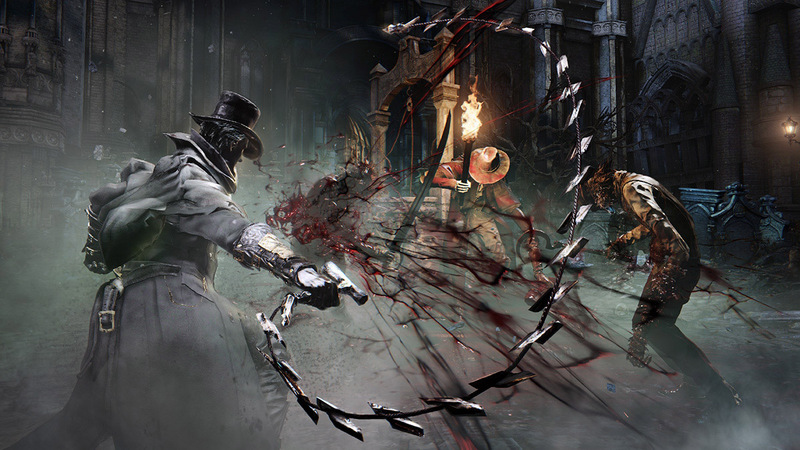 By now, most of us have had time to fully digest Bloodborne and its many, many cruelties. And even though Dark Souls II: Scholar of the First Sin will definitely help fill the gap before From Software's next creation, it's hard to stop thinking about what the future will hold for their brutal brand of RPG. I'll admit, I used to be one of those Souls elitists who scoffed when people complained about the largely anonymous nature of its multiplayer. "That's how it's supposed to work," I'd say, because, really, that was true up to a point. With Dark Souls 2 and Bloodborne, From included features to assist players with finding people they know, but these methods require a bit too much legwork for such a simple goal. Yes, by this point I realize making things harder than the norm is part of the Souls agenda, and I'm totally down with that. Fighting an ultra-hard boss for the dozenth time? Sure, let's do it. Playing an online game of Marco Polo for minutes on end in an effort to find your friends floating in server limbo? Not so much. I'm fine with co-op being a "sometimes" thing instead of an "all the time" thing in From Software RPGs, but setting up a session with someone you know shouldn't require so much damn work. Bloodborne may be a visually stunning game, but From Software RPGs have always had their issues on consoles. 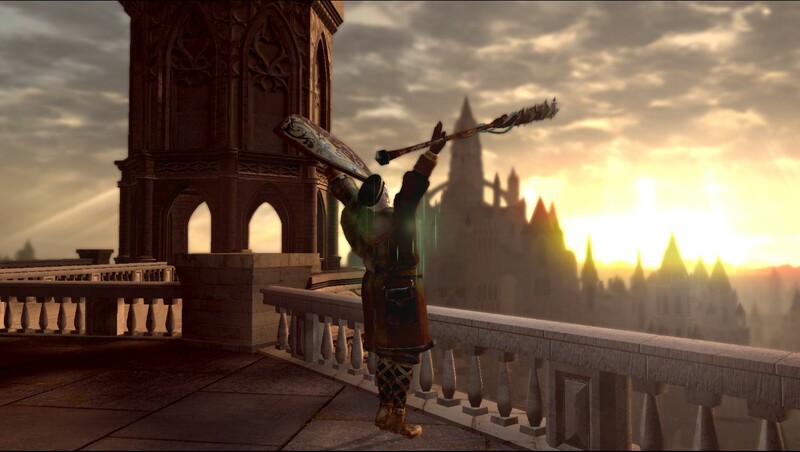 To date, the PC versions of Dark Souls 1 and 2 remain the best way to experience both of these games, simply because they do a great job of smoothing over the technical problems that marred the console versions—though the PC port of the original Dark Souls needed a fan-made patch for this to happen. Even with the power of the PS4 in their hands, From dropped the ball a bit with Bloodborne, leading to some not-so-smooth frame rates—especially in co-op—and excruciating load times often exceeding 30 seconds—honestly, the last thing you want in a game where death is a fact of life. And sadly, there's no forthcoming PC port to save us this time around. If From wants us to absorb the sheer joy in their games without constant hardware hiccups interfering, they'll make these technical issues a priority with their next release. In a From Software RPG, the central hub always exists as a safe space, and, outside of the traditional "traitor" NPC who offs others if you don't off him first, these areas rarely change. Bloodborne shakes things up a bit by gradually whittling away formerly safe areas, and by making certain locations much more dangerous after specific plot events—but I think From could go much further with this idea. 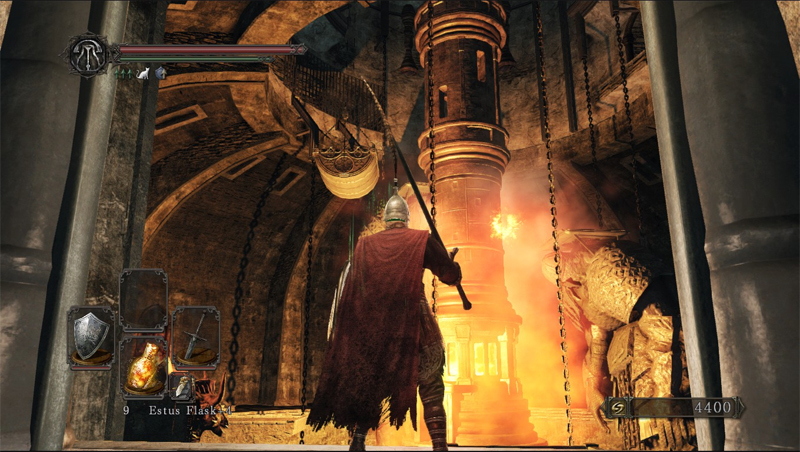 The dangerous little piggies from Dark Souls 2's Majula make for a great example: Starting players exploring the periphery of this seemingly peaceful hub usually end up getting snuffed out because of these unexpected (and unexpectedly strong) enemies. And since some of the greatest moments in Souls games have you warping back to the hub and being surprised by some sudden change—like Frampt's big, ugly head poking out of the ground in the first Dark Souls—I'd really love for them to mess with players' expectations more often. What if you, say, jumped back to the hub, only to find it completely destroyed and crawling with dangerous enemies? This kind of situation definitely wouldn't feel out-of-place in a Souls game. Covenants went from "mostly useless and slightly broken" in the original Dark Souls to "viable, but still negligible" in the sequel. Bloodborne, on the other hand, dials back the amount of covenants to three, but hides them extremely well: Ask most Bloodborne players about which covenant they joined, and the response will most likely be, "Wait, there are covenants in this game?" Covenants in From Software RPGs have always been great in theory, but since so many of them exist, and joining one isn't required, it can often be impossible to experience them as intended. That's why I'd love to see the idea of covenants become an essential part of the next From Software RPG; a feature that splits players into different factions and changes the experience significantly depending on their chosen affiliation. If From builds a game around mandatory covenant membership, they could easily expand on and improve promising concepts that didn't pan out in the past. One of the greatest features of any Souls games can be found in how other players can often be more dangerous than the terrifying creatures and unspeakable environments your humble little adventurer faces on their journey. Unfortunately, the threat of other humans invading your game has all but disappeared over the years, and in Dark Souls II, you can essentially opt out of this aspect of the game if you want. And while you could chalk this up to server issues, this part of the experience feels completely absent in Bloodborne; after dozens of hours of co-op, I've yet to be invaded once. Now, I realize invasions don't always pan out, and one even resulted in my character getting hacked into oblivion, but I kind of miss the rush of adrenaline that came with seeing the words "Dark spirit GOKUWEEDLORD420 has invaded!" flash on my screen. Obviously, there should be some sort of "cooldown" period between invasions for the sake of fairness, but we Souls fans have grown a little too complacent over the years. It's important to remember that in any From Software RPG, hell is other people. Or at least, it should be. Tagged with Analyses,	Bloodeborne,	Dark Souls,	dark souls ii,	FromSoftware,	USgamer.